MarketSaw - 3D Movies, Gaming and Technology: MICROWORLDS: The Unseen World Beneath Our Feet In S3D! MICROWORLDS: The Unseen World Beneath Our Feet In S3D! PassmoreLab, the San Diego-based multi-media production studio that specializes in 3D production and 2D to 3D content conversion, announced today the release of MicroWorlds -- their latest 3D film about the incredibly complex wonders of nature. MicroWorlds is a live-action 3D educational science film that explores the world of life that goes on, unseen, all around us. From the earthworms in our backyards to the alien beauty of a garden snail, MicroWorlds examines the patterns, cycles, and daily rituals that are repeated on every scale, both in nature and in the lives of all creatures. Examined closely, nature reveals these patterns through the hands of time, the rotation of our planet and the flora and fauna that surround us. 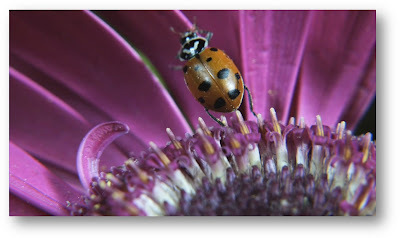 Image: A lady bug pollinates a flower in the 3D film, "Microworlds". Click to zoom. The film takes an extraordinarily intimate look at these worlds of nature beneath our feet by examining the seemingly invisible domains of four insects -- Earthworms, Ladybugs, Butterflies and Garden Snails -- and tells the amazing stories of the daily routines of these essential creatures and the vital role they play on our planet. Astonishing beautiful and remarkably up close, the film was shot in California with a custom 3D microscopy rig specially designed for the film. High precision stages, state of the art macro lighting and a year of intense shooting yielded never before seen imagery. Mixing stereoscopic microscopy, time lapse and some serious bug wrangling, the film shows insects 'up close and personal’. Everything was shot at high def, precisely synchronized and with a broad dynamic range to capture and present a micro-reality to viewers. Image: A Garden Snail shows his teeth and munches on a leaf in PassmoreLab's 3D film "Microworlds". The film also shows ladybugs going about the business of pollination as well as hunting down their favorite meal – the common aphid. But it also shows much more than just miniature jaws in action. MicroWorlds also shows earthworms, deep in the ground, aerating the soil and actually eating, digesting and excreting the most important natural fertilizer on our planet – worm cast. PassmoreLab also created a complete teacher’s guide full of trivia, games and mind-benders germane to the film. It is a companion piece available for middle-schoolers that want to dig a little deeper into the science of the film after seeing it. 2010 will be a busy year for PassmoreLab. The independent studio will also release two additional live-action 3D science and nature-themed productions – ‘The Extreme Nature of Bats’, and ‘Physics of Surfing’ -- as well as rolling out a number of 3D conversions, with the most high-profile title being the 3D conversion of the original 1968 George Romero zombie classic “Night of the Living Dead, Now in 3D!” which will see release in the US and Europe starting in March. Image: A tiny mite hitches a ride on the back of an earthworm in the 3D film "Microworlds". MicroWorlds will be available in 3D Digital in March. 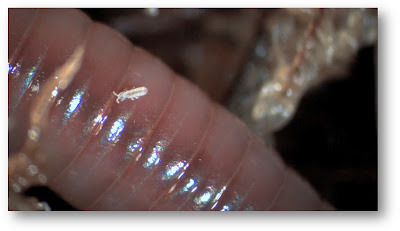 For more on PassmoreLab’s MicroWorlds, please visit www.passmorelab.com/microworlds. Passmorelab, the “World’s Largest 3D Content Provider”, is a San Diego-based multi-media production studio that specializes in 3D production and 2D to 3D content conversion. The studio custom-designs and builds its own RED camera 3D rigs for both conventional and rugged film productions, shooting everything from feature films, television and science documentaries, to underwater diving, extreme sports and cave exploration, click for reel. State-of-the-art facilities include a full 3D production studio, video/film post-production, optical development lab, and a software development environment. Production includes 2D, 3D, high dynamic range time lapse, stereoscopic microscopy and cutting-edge simulation technologies for real time SFX. Passmorelab’s proprietary technology for 2D to 3D video and film conversion is unmatched in the industry, in both turnaround times and conversion costs. PassmoreLab has additional offices in Russia and the Philippines. 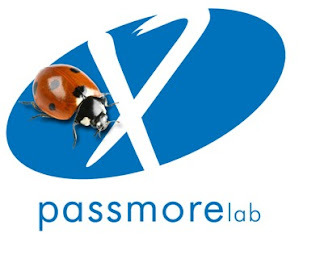 For more information, visit www.passmorelab.com.